Last edited by commavegarage on Mon Jun 15, 2015 12:23 pm, edited 1 time in total. Eh, I bet you'd get better odds on him winning the US Open this year. I thought it was "get in the hole"
Anyone else less into watching golf since the US bent over on Sunday of the 2012 Ryder Cup? DomingoOrtiz wrote: Anyone else less into watching golf since the US bent over on Sunday of the 2012 Ryder Cup? 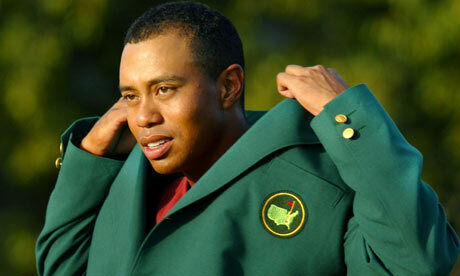 i really dont get into it too much until augusta. bayhill/doral/bluemonster dont really do it for me. augusta seems like opening day, while the prior events seem like spring training. Who would you put as the favorite at Augusta? He's playing really well right now and can handle that course as well as anyone else. And I know you love Phil, but don't say Phil. I don't think you can ever put him as a favorite because he can always self-destruct at the drop of a pin. Tiger is the obvious choice at this point. Also like Bradley, Dustin Johnson, Louis Oosthuizen and Schwartel. For some reason the South Africans do very well at Augusta. But I really do think Tiger's gonna win it. What can you get for Mickelson? He is just as likely to win at Augusta as Tiger. But I am guessing the odds aren't worth it for either. Golf betting is a waste its a total crap shoot and you have to bet a lot to win. I still think Tiger's a lock for the US Open this year. Of the list above, Johnson is the best bet. Those odds surprise me, Adam Scott? Other than finishing second once, his results are terrible there. I think you simply can't bet 5/2 on anyone at the start of the tournament. Even Tiger. commavegarage wrote: Phil's 11/1, Tiger's 5/2. 11-1 would intrigue me if I were a high roller. Phil has his game back and Augusta is tailor made for his game, even when he isn't on. It's a lefty's golf course and it doesn't punish wild big hitters who have great short games. this thread also reminds me - anybody have any must go to courses? Was at bandon dunes last summer - highly recommended to everybody, thought it was the best group of courses ive ever been to. Bethpage. Back in the day it was 20 bucks for NYS residents. Torrey Pines in another public course if you happen to be in San Diego. Locally, I like Red Tail, Blackstone National and Shaker Hills. Don't like Widow's Walk, not a masochist. My old man and his 9 handicap shot like 97 there and lost 2 sleeves of balls in the environmentally-friendly coastal swamps. playing black this summer...really looking forward to it, have played pretty much all the others in that complex...red was a pretty good course. If you ever go to Ireland play Old Head. And hope that it's not foggy out. flyingelvii wrote: If you ever go to Ireland play Old Head. And hope that it's not foggy out. seconded. but go play in scotland first. st. andrews (for the history), carnoustie (to realize how punishing it really is), turnberry (for the vistas), and somewhere in the highlands (to find yourself at the edge of the world). For the record, another must play NY state course is the spa course at Saratoga. Bring coppertone, because you will feel like you are at the beach. Gigantic traps surrounding many holes. meet you for a round at pinehurst? I've played all 8. I have a friend that lives in the village (which makes them a "member") and it makes getting out much easier. That said, it's nice to stay at the resort at least once. you're missing out on all the old lady courses (1,3,5). too bad about the conditions on #8 but playing in nc in august is insanity. commavegarage wrote: this thread also reminds me - anybody have any must go to courses? Not a golfer but that place looks beautiful. ireland is better for golf in my humble opinion. play waterville, lahinch, ballybunion, rcd, royal portrush and the island club. Those are good picks but I don't think there is any way Scott is winning. Like the Day pick at those odds.